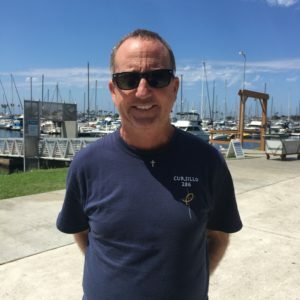 Paul Greer is a Professor of Health and Exercise Science at San Diego City College and has a Master’s degree in Exercise Science and 32 years coaching experience. A sub-4 minute miler (3:59.79), he starred on the San Diego State University track team and holds the school record there at 1500 meters. Paul competed in the U.S. Olympic Trials and has a personal best time in the 1500 meters at 3:39.05. He is also the Director for the very successful Rockin’ ‘N’ Runnin’ full and half marathon training program. Paul’s workouts cater to runners of all ages and abilities and he provides training schedules to his athletes on an individual basis. Track workouts are geared toward popular local races such as the Carlsbad 5000, Rock N Roll San Diego and the AFC Half Marathon. Paul’s structured workouts ensure that runners train in groups of equal ability to maximize their athletic potential. 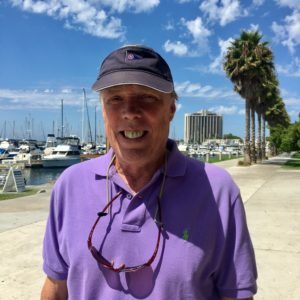 Bill Aaron received his Bachelor of Science degree from San Diego State University in Exercise and Nutritional Sciences with an emphasis in Fitness, Nutrition & Health. He is Head Cross-Country and Track & Field Coach at Kearny High. He has coached cross-country at the intercollegiate level, and coaches ultra, full and half marathoners. A marathoner himself he has run 29 marathon since his first Rock and Roll Marathon in 1998, his personal best is 3hr and 31 min. 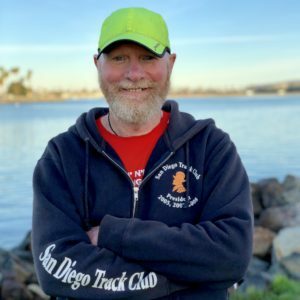 Dave “Hutch” Hutchinson brings to the program over thirty five years of his running and racing experiences with multiple marathons including a couple of Boston Marathons, a 2:44 marathon PR, a 1:18 half marathon PR and a 34:14 10K PR. He has mentored, coached and assisted many runners over the years and takes a personal interest in each and every runner. In the previous six years of this training program, the results speak for themselves with better than 50% of the Boston Group runners establishing both PR’s and re-qualifications on the Boston course every year. Contact Hutch: rnrboston@gmail.com or (406) 544-6005. Mark Shimmin graduated from Cal State San Marcos with a double major in Criminology and Sociology while also competing in track and cross country. Post college, he did substitute teaching in Escondido elementary and middle schools which helped in his ability to teach. He is currently working as a Sports Massage Therapist with an emphasis on treating specific injuries and helping athletes prepare for competitions. 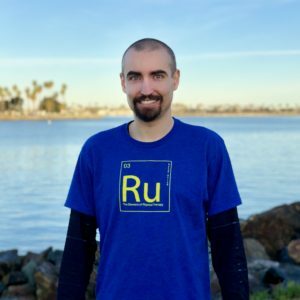 As a runner, he has raced a variety of distances ranging from 800m to 10K on the track as well as various trail races such as the Dipsea Trail Race which he’s done every year since 2008.